Mikao Usui responded for real to the following questions, but the date and the name of the interviewer are not known. According to the date mentioned in the text, the interview should had occurred between 1922 and 1926, the year Mikao Usui left the body. 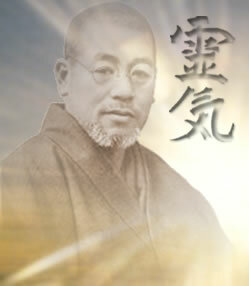 Question: What is the ‘Usui Reiki Ryoho? Answer: There is still the Shinpiden, the highest level, namely the fourth, ie the degree in which we can send Reiki and teach others.